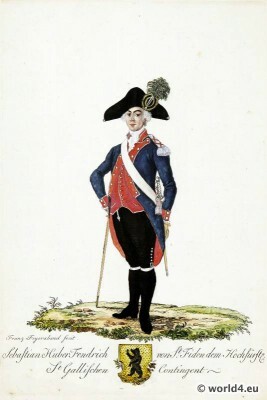 John Warth Hunter of the Department of St. Gallen. Johanes Warth Jaeger von der Abteilung St. Gallen. 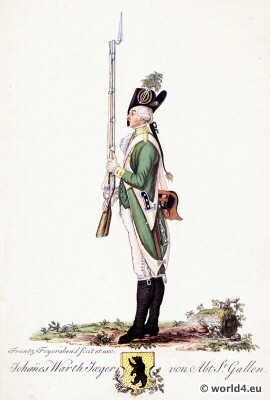 This entry was posted in 1792, 1793, 1794, 18th Century, Military, Switzerland and tagged Canton of St. Gallen, Costumes militaires des cantons de la Suisse on 6/14/14 by world4. 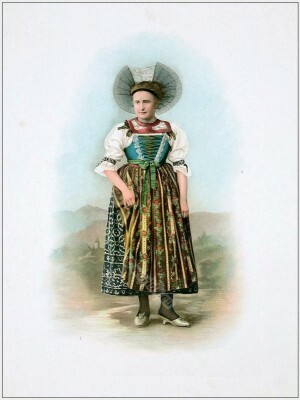 Gallery: Swiss national costumes from 1896. Gallery: Costume nationale suisse des 22 cantons 1865. Dessiné par Louis Lassalle, illustrator. S. Morel; Imprimerie Lemercier, Geneve; Paris, 1865. 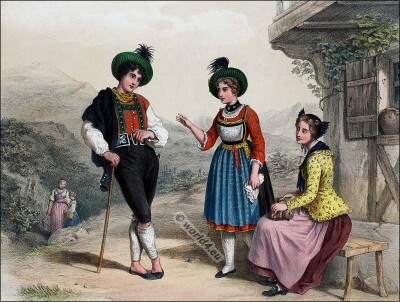 This entry was posted in 1860, 19th Century, Switzerland, Traditional and tagged Canton of Grisons, Canton of St. Gallen, Traditional Switzerland costumes on 9/1/13 by world4. Couple with child. Costumes from the Canton of St. Gallen. Costumes from the Canton of St. Gallen. 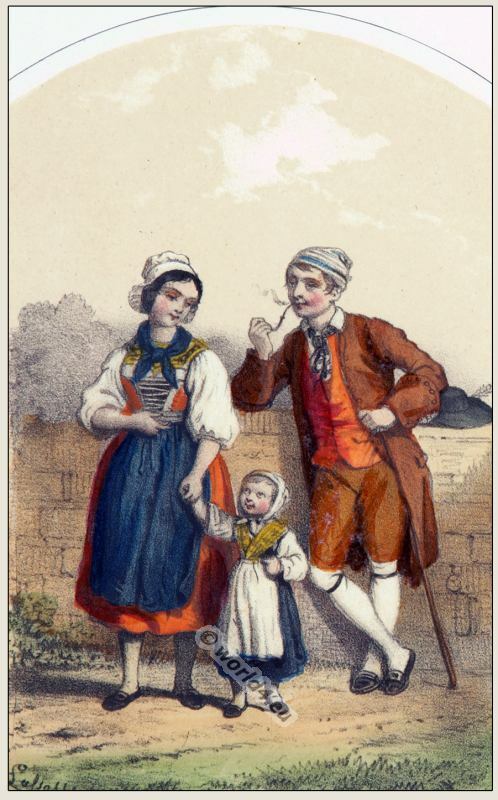 Couple with child from the Canton of St. Gallen. Switzerland national costumes. This entry was posted in 1865, Switzerland, Traditional and tagged Canton of St. Gallen, Traditional Switzerland costumes on 8/23/13 by world4. Woman from St. Gallen in the costume of the former princely land. Woman from St. Gallen of the former princely land. 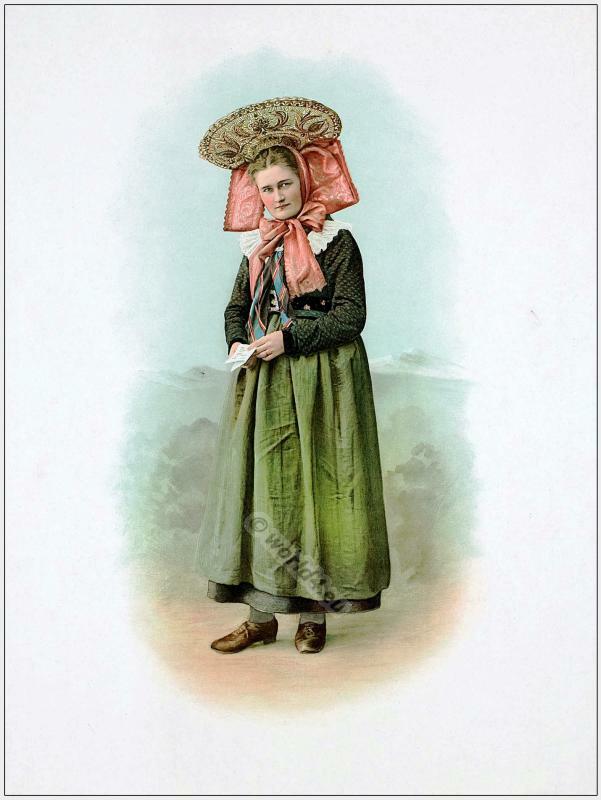 This entry was posted in 1896, 19th Century, Switzerland, Traditional and tagged Canton of St. Gallen, Traditional Switzerland costumes on 8/17/13 by world4. Woman from St. Gallen from the former princely land. 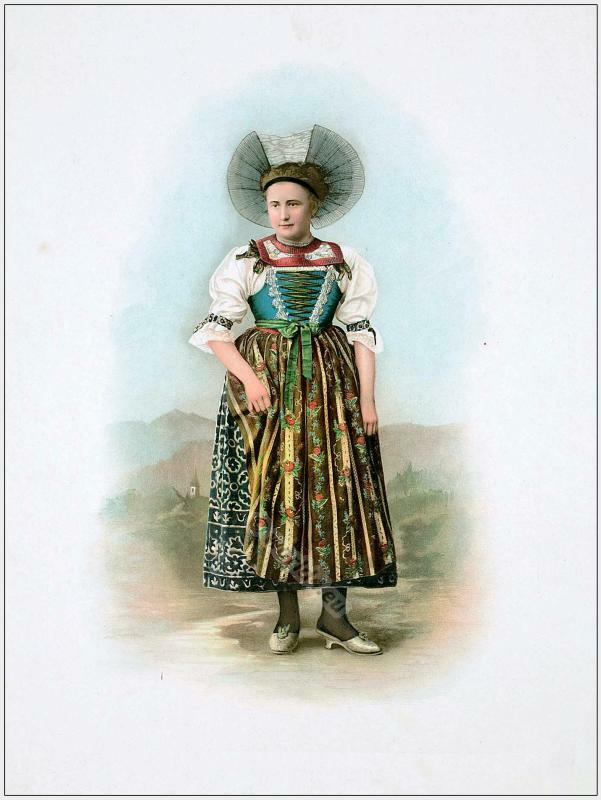 This entry was posted in 1897, 19th Century, Switzerland, Traditional and tagged Canton of St. Gallen, Traditional Switzerland costumes on 8/17/13 by world4.